Mega Sale! Free Shipping Included! Save 21% on the Handmade Curious Family Passport Holder - Leather Travel Multiple Passports Wallet by Handmade Curious at Sherlock Coat. Hurry! Limited time offer. Offer valid only while supplies last. We design this leather passport holder for family travel. You could organize 4 passports, some cards, boarding passes, some notes into this case. We design this leather passport holder for family travel. You could organize 4 passports, some cards, boarding passes, some notes into this case. Also a great gift for your friends. 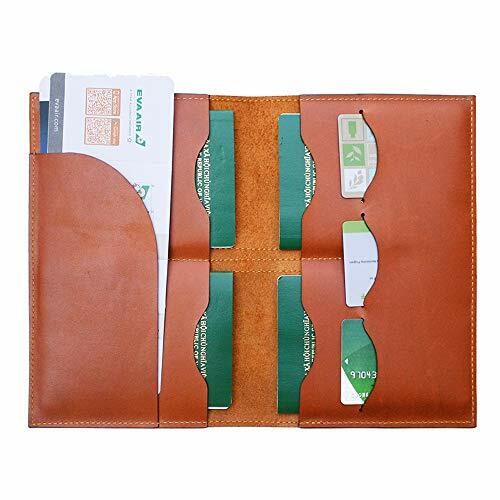 One passport holder can hold multi passports and tickets of your family. 100% handcrafted from quality genuine leather with an elegant design. FLEXIBLE STORAGE & ORGANIZATION: Capacity for 4 passports, some credit cards and tickets. DESIGNED FOR SAFE INTERNATIONAL TRAVEL: Slim enough to fit in your purse, luggage outer pocket or a coat pocket.